Complement your handsome ways with the Hamilton™ Jazzmaster Gent Watch. Three-hand analog display with F06.111 quartz movement, and date display window. Black sunray dial face with stick indexes. Dial ring features a minute track. 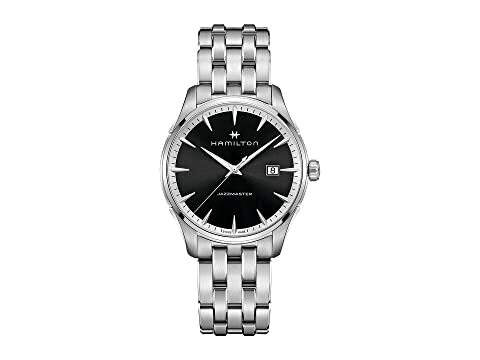 We can't currently find any similar items for the Jazzmaster Gent - H32451131 by Hamilton. Sorry!